To develop Topline, we worked closely with emerging songwriters and producers from across London to understand their creative needs. They all shared a big concern about losing original song ideas – either through not being able to capture them easily when they occurred or by finding it impossible to locate them later. We decided to solve this challenge for artists by designing an intuitive and ingeniously simple to use app with music at its heart. 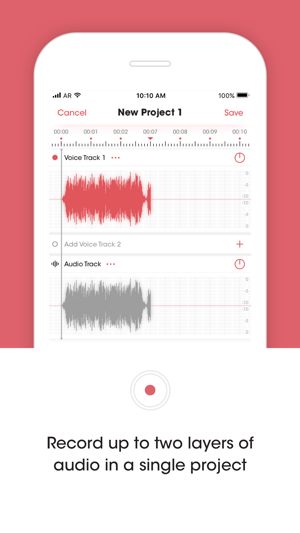 The clean and simple user interface makes capturing your initial song ideas easy and enjoyable. 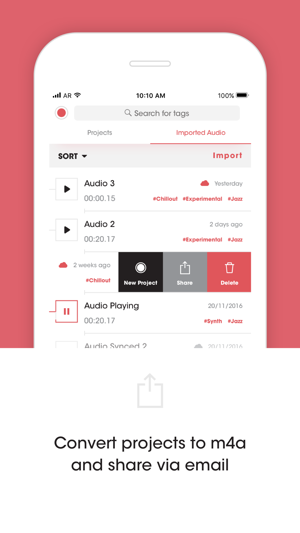 Sing over an imported track or add up to two tracks of audio to your original file. 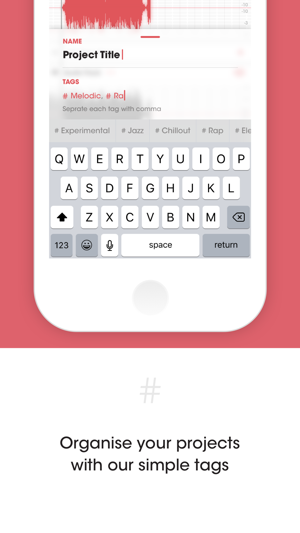 Build and organise projects in your own way by adding lyrics, tags and pictures. 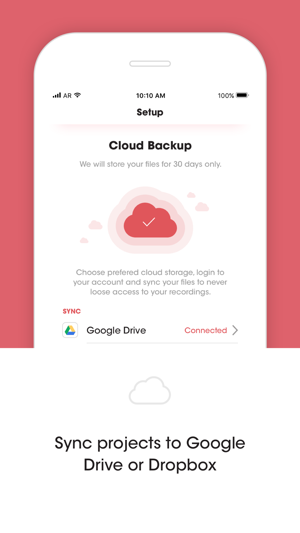 Import audio files from Mail, Cloud, Google Drive and Dropbox. Convert projects to M4A and share via email. 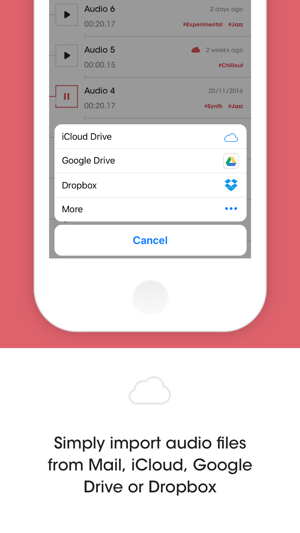 Safeguard ideas and free up space by synching your projects to Google Drive, Dropbox or the cloud of your choice. I think this is good for recording ideas but when it comes to notes there is a big problem, especially as this app is aimed at songwriters! I’ve noticed my lyrics/ notes I jot down in the notes section disappear when I go back into app, even after pressing save! Have started copying at the time of writing and pasting elsewhere on my phone to be on the safe side! Thanks for your feedback Samia22. 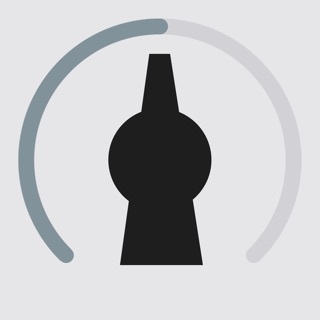 Could you please email apps@abbeyroad.com with more information on what device and operating system you are using. We can then start to investigate the issue. Thanks, Topline Team. 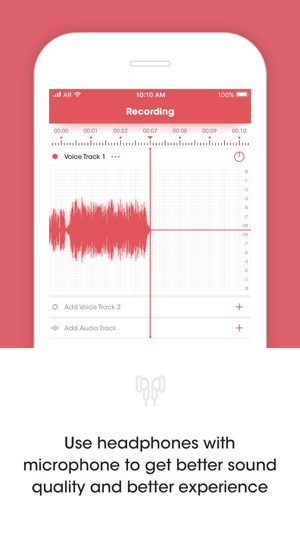 Really like this app- only thing is for me when songwriting, listening back is key- it would be great if there was a feature that enabled it to auto play, so you could let song ideas roll through. Also, stops playing on my phone when the phone is closed. Other than that- great! Hi Jasmine, glad you like the app! Thank you for the feedback, we will take it into consideration. There will be a new update we are working on an update so keep an eye on the App store! Imported a track to work on. Plays back fine when imported but put it into a project and the sound clicks and breaks up. In fact all files within projects are crackling. 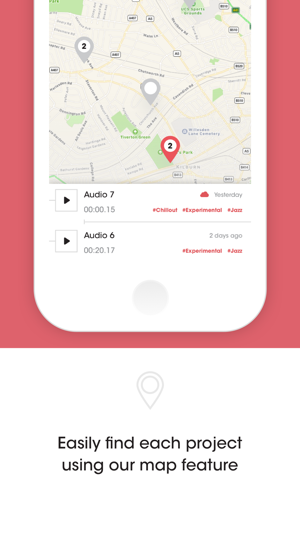 This is an excellent idea for an app that isn’t quite up to speed. Would expect at least a good basic playback from a world-class brand name like Abbey Road. If it’s not meant for iPads don’t make it downloadable for iPads! Thanks for your feedback Silver H. There is a new Topline version available (1.0.3) which should rectify the 'crackling' problem. Upgrade to the latest version and let us know how it goes!